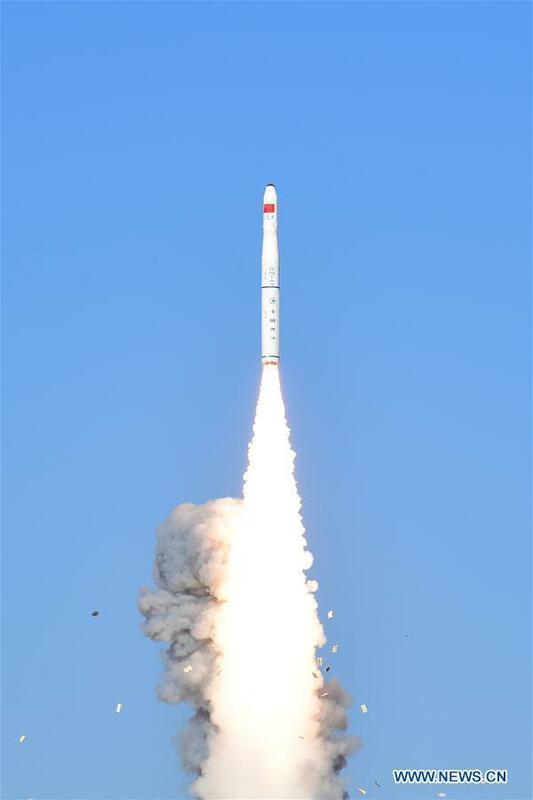 China's second and the world's sixth orbital launch took place Monday, seeing four small satellites successfully sent into orbit from the Jiuquan launch centre in the Gobi Desert. Liftoff of the light-lift Long March 11 solid-fuelled rocket occurred at 05:42 UTC (13:42 local) at Jiuquan, with Chang Guang Satellite Technology (CGST), the Jilin Province-based maker of the two Jilin-1 hyperspectral satellites aboard, announcing success of the mission to Sun-synchronous orbit (SSO) within the hour. The Jilin-1 hyperspectral 01 and 02 satellites have a resolution of 5 metres, a 110 km swath width and collect data across 26 spectral bands. Jilin Lincao-01 will focus on remote sensing for forestry applications, while the second, named Wenchang Supercomputer-01 through backing from Wenchang city, Hainan Province, is dedicated to marine observation. The new Jilin-1 satellites join 10 previously launched sats in orbit, which are part of plans by CGST to put 60 satellites by around 2020 and complete a constellation of 138 satellites in low Earth orbit by 2030 for global all-day, all-weather, full spectrum Earth observation, as part of a regional economic rejuvenation initiative. 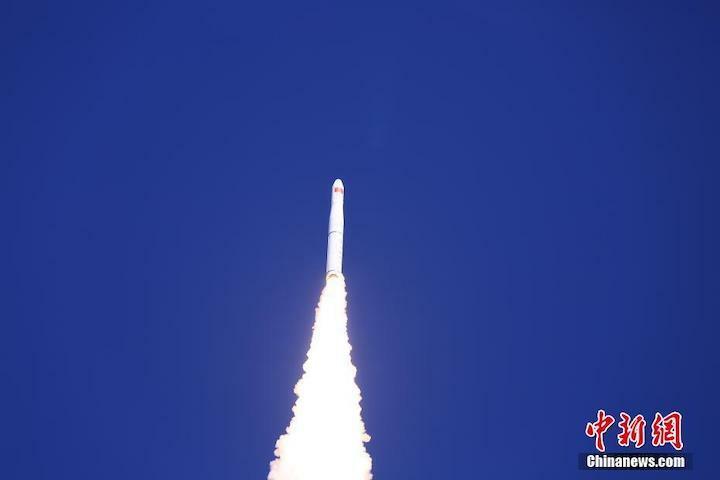 Long March-11 launches Jilin-1 Spectrum 01/02, Lingque-1A and Xiaoxiang-1 03 satellites. The Jilin constellation aims to provide data for use in areas including land resources monitoring, land surveying and mapping, mineral resources development, smart city construction, agriculture yield estimation, environmental monitoring, disaster prevention and other areas. One of the already-orbiting Jilin-1 video satellites captured spectacular footage of a Onespace suborbital rocket launch taking place at Jiuquan last autumn. 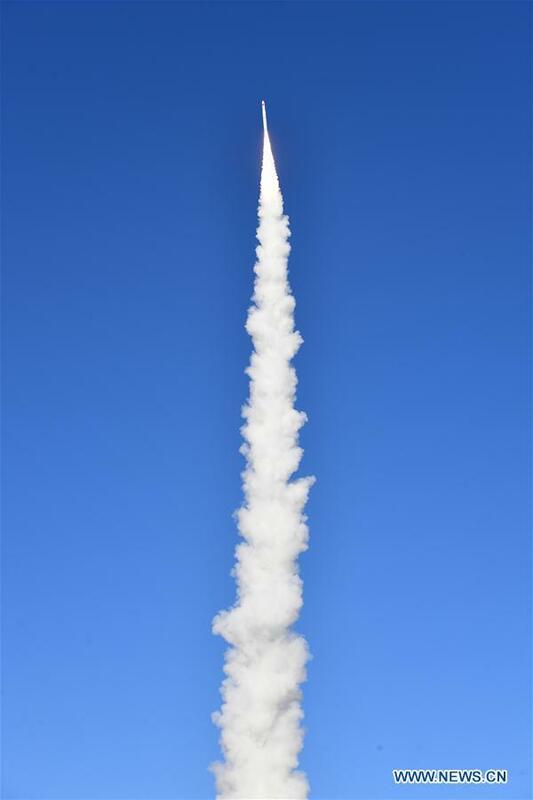 Also aboard the Monday launch were satellites for Changsha-based Spacety and ZeroG Lab of Beijing, two further private satellite making companies, along with CGST, to have emerged since a late 2014 government decision to open the Chinese space sector to private capital. Xiaoxiang-1 (03) (潇湘一号03星) is a 6U CubeSat is a technology test satellite in cooperation with Qingteng University carrying a a full-color miniature remote sensing camera. The satellite also has a design lifetime of one year and will then test the capability to remove itself from orbit in order to not contribute to the issue of space debris, using a sail for increasing the impacts of atmospheric drag to aid deorbiting. Spacety is looking to launch around 20 satellites this year across 5 or 6 missions. ZeroG Lab of Beijing also had a remote sensing technology demonstrator(Chinese) on the launch for its Magpie Constellation, which will be composed of 132 6U CubeSats with optical resolution better than 4 metres and eventually 378 satellites to provide revisits over regions every 10 minutes.